Happy Monday! I wish I was as happy on a Spring Monday as I should be, but here's the thing. We had a literal blizzard all weekend. All. Weekend. I am talking whiteout conditions, ice on the roads, and cars in ditches. We mostly camped out at home but did have to venture out briefly so today's post will be short and sweet. Friday I left work a little early because I worked really late on Wednesday. Thank goodness I did too. I had to run quickly to Target before picking up Reese from daycare. It was cold and I was expecting rain or snow at some point so I went quickly. 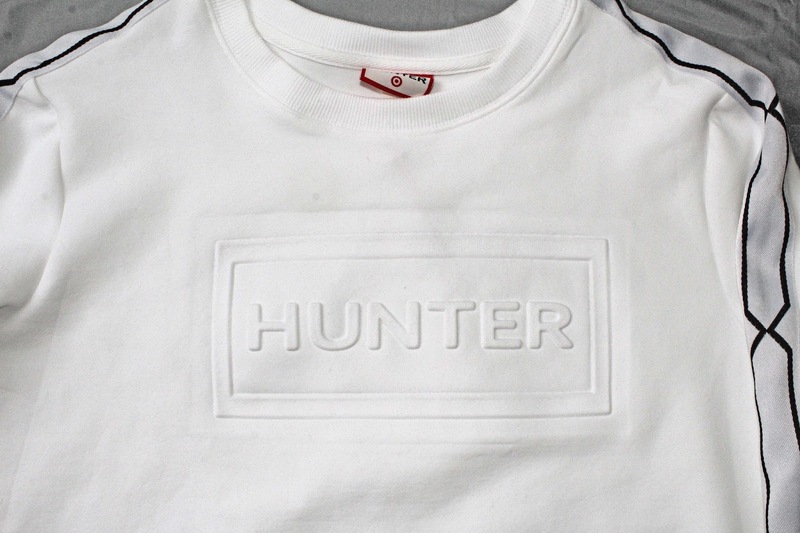 I did notice, I almost forgot, that the HunterxTarget collaboration was dropping the next day and I saw them setting it up. By the time I left the store, it was starting to apparently sleet and by the time I got into my car it was straight hail. On the way it home it started more to rain and soon after snow. And it never stopped. It is April, right? I am not involved in some Truman Show style prank, right? We definitely camped in on Friday and rented the new Star Wars movie before hitting the hay. Saturday I woke up with a crazy migraine. I was supposed to meet up with an Instagram friend, but with my migraine and the terrible weather, I had to cancel. We also had my mom's birthday that night so I wanted to rest up for that. It snowed all.day.long. Have I told you that it was a blizzard? A serious January style blizzard. Honestly, if it was not for our truck and four-wheel drive we never would have gone. You could hardly see in front of you and it was a little freaky. We did make it safely, but we had to stop at the store because I thought we were going to run out of diapers. That was interesting as the exit ramp had not been plowed at all. We did make it to my parents to celebrate my mother and my brother-in-law's birthdays. Thankfully we did plan to do it at the house anyway so our plans did not have to change. We had dinner and cake, sang happy birthday and talked. Sometimes it is just nice to be at your parent's house catching up with family. Sunday, shocker, it snowed again. It slowed up that morning so D was able to plow but then it got right back at it. There are no words here. We decided to spend the snowy weekend working on transition Reese to one nap per day. She really struggled Sunday with some unfortunate incidents culminating in her getting sick. We suspect this was what was happening all day. Fingers crossed she is better today. With the snow this weekend we did not get many places, nor was I able to take pictures outside. Le sigh. In our brief excursion to Target, I took a look at their collaboration with Hunter collaboration. I was really excited about this. I had a couple items I wanted for me and I wanted to snag some boots for Reese, if Spring ever shows up. I got there and items that they said were going to be there were not and some items were sold out online. However, if you are able to find some definitely worth it. I found the one sweatshirt I really wanted. I know a white sweatshirt is a risk with a baby and two dogs but I could not help myself. I love the cropped silhouette and the chain detail down the arm. The material is almost like a scuba fabric but more flexible and thin. If Spring shows up this will be perfect for the cooler temps without overheating. I decided to show two ways I would style this. First a more casual, athleisure styling. These pants are also from Target so the whole look is inexpensive. I like the mimicking stripes on the pants as well for some symmetry, definitely gives more of the athletic vibe. At the time time, I paired with these sneakers with the metallic back to keep it from being too much of a gym look. I added some small details with the necklace and watch for just a hint of bling without going overboard. If you wanted to dress up the look they would easily pair with high waisted jeans like these. I like the darker jean to add some contrast to the bright white top. When the temps warm up you could do a lighter wash too for Summer. I would cuff my jeans, I am really into that right now, and pair with some funky booties like these ones. I added a little more dramatic earring and my sparkly watch to make it more night time appropriate. What do you think? 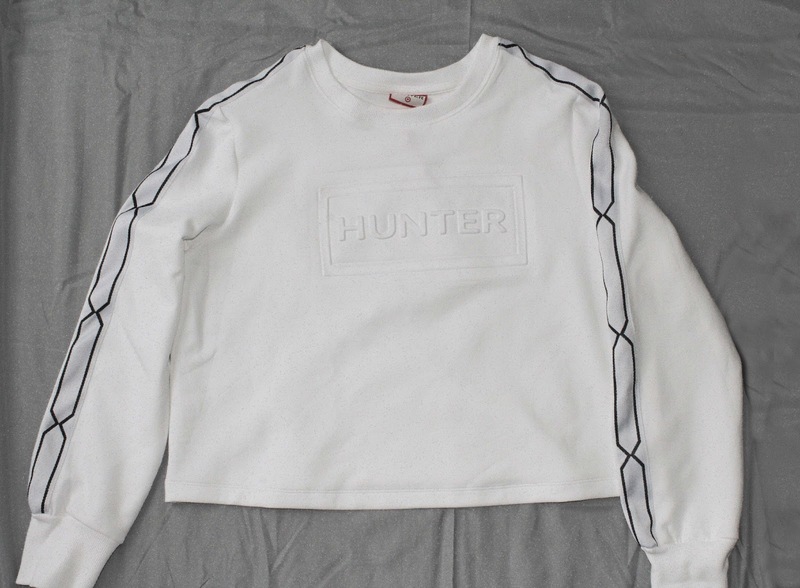 How would you wear this? Leave me a comment below!